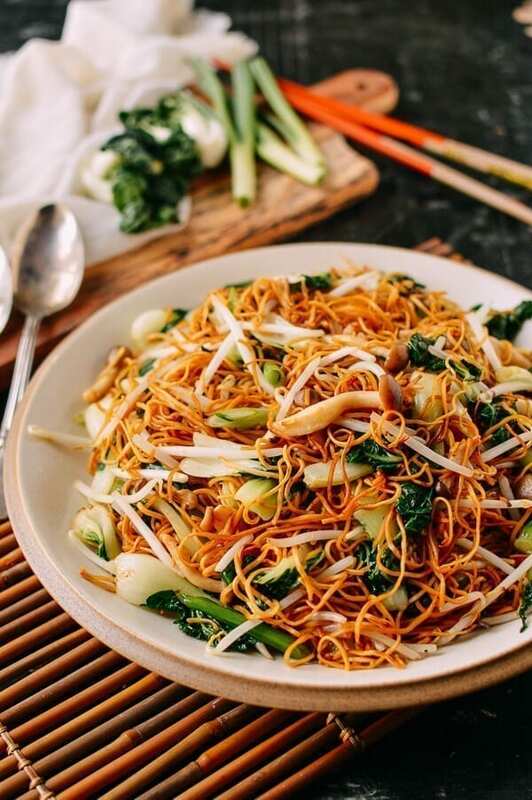 This Hong Kong-style Cantonese Vegetable Chow Mein is a truly delicious meatless option for all you vegetarians out there. 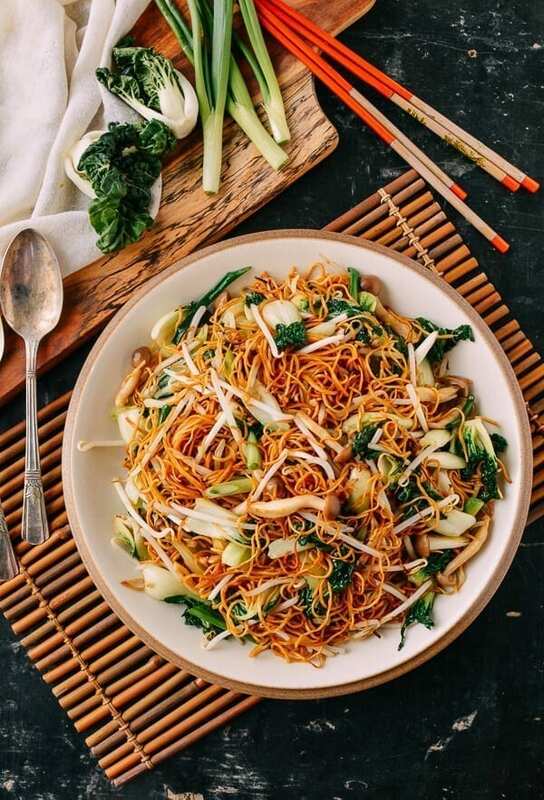 Slightly crispy and chewy pan-fried noodles, with a mix of bok choy, mushrooms, and bean sprouts, makes this vegetable chow mein both light and really satisfying. So for anyone who gets confused between “chow mein” and “lo mein,” what’s the difference, you might ask? Answer: it’s all about the noodles. Vegetable Lo Mein uses a thicker, softer Chinese lo mein noodle, which is what most people are familiar with. 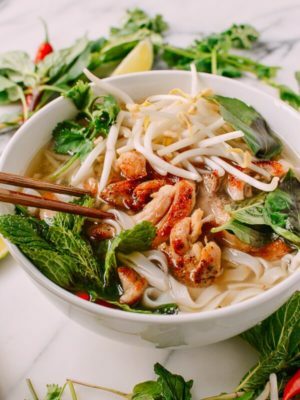 To see the difference between lo mein and chow mein noodles (and a heck of a lot of other noodles), check out our Chinese Noodles and Wrappers page. 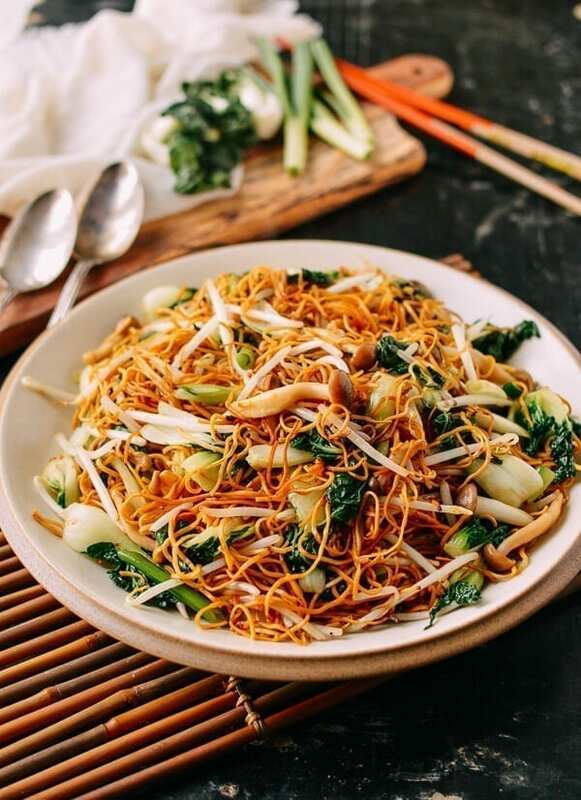 Vegetable Chow Mein––really any authentic Cantonese chow mein recipe––uses Hong Kong-style noodles, which are very thin and pan-fried until crispy. 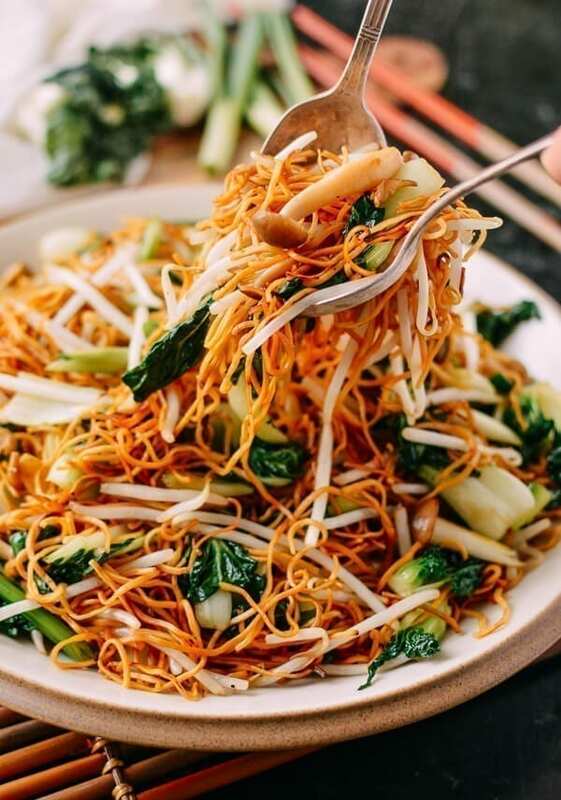 We chose to make this vegetable chow mein dry and crispy like our Hong Kong-style Shrimp Chow Mein. But feel free to make a saucier version. If you want guidance on what that should look like, check out our Gai See Chicken Chow Mein. 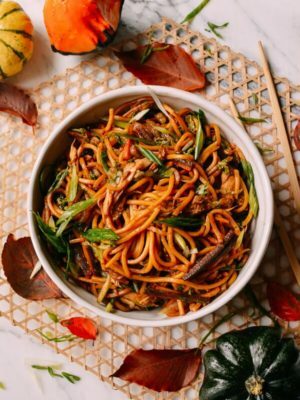 The best thing about this dish may be that it’s what we like to call a “fridge clean-out,” i.e., there are no rules for what you can include in your Vegetable Chow Mein! That means whatever veggies you have at the bottom of your vegetable crisper will work: carrots, bamboo shoots, celery, kale––whatever you’ve got or can get will do the trick! For this dish, we kept things simple and used a vegetable trio of buna shimeji mushrooms, mung bean sprouts, and dwarf bok choy. 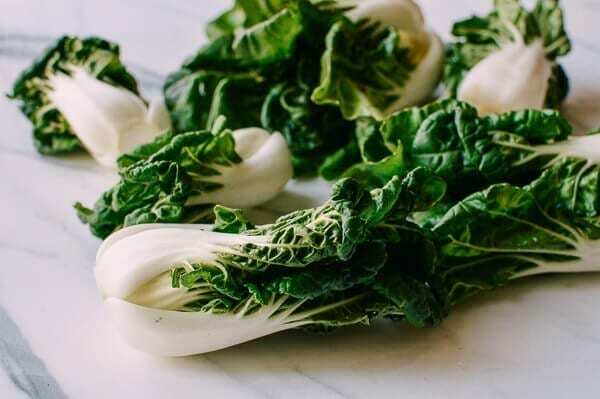 Dwarf bok choy is smaller than even a small Shanghai bok choy, and has curled, glossy, dark green leaves with short, thick white stems. 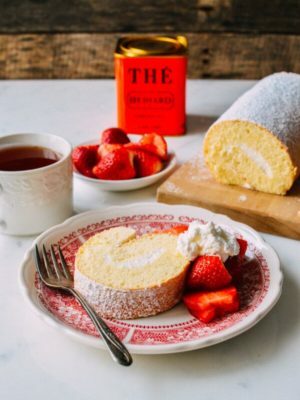 They are tender and sweet-tasting and have a great look and texture. 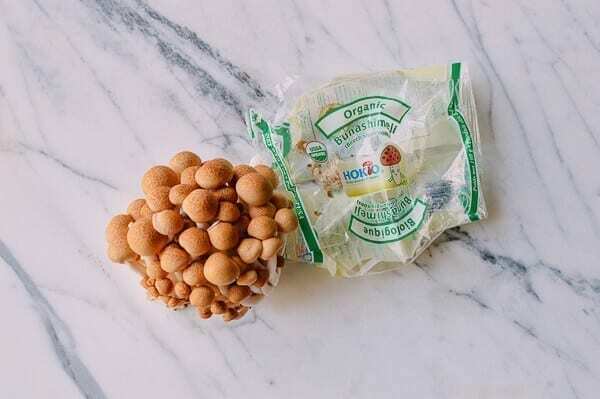 As for our choice of mushrooms, Buna shimeji or beech mushrooms are one of the newer varieties we have recently starting seeing in stores. They come neatly packaged and have a great earthy flavor and a slightly crunchy texture. What’s more, the prep is a snap. 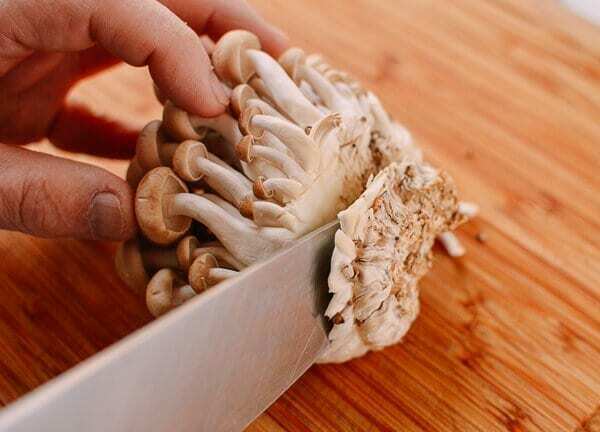 They come in clusters, so all you have to do is cut off the base to separate the individual mushrooms, and give them a quick rinse. Now that the formalities are over with, let’s cook! Bring 2 quarts of water to a boil (we use our wok because it heats quickly), and add the Hong Kong-style noodles. Fresh noodles should be boiled for about 1 minute. 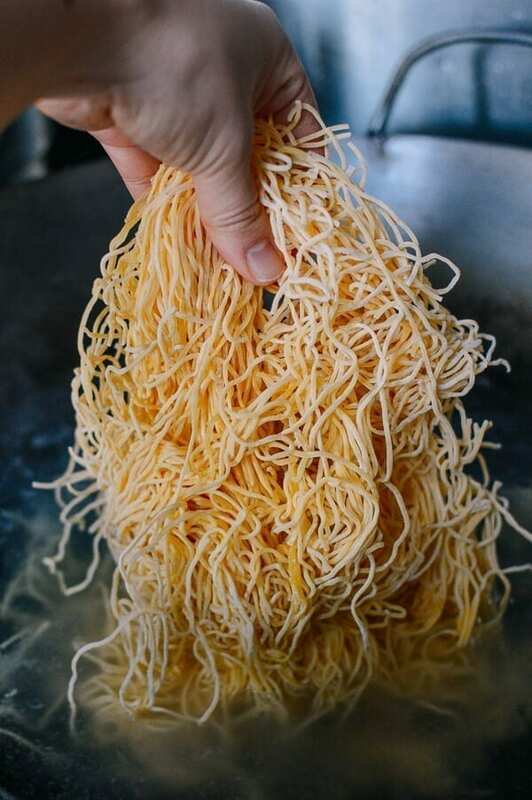 For dried noodles, boil for 2-3 minutes. Rinse in cold water and drain very thoroughly. Rinse the mung bean sprouts in cold water twice to ensure they are cleaned. Drain just before you are ready to cook the dish so they stay hydrated and crunchy. 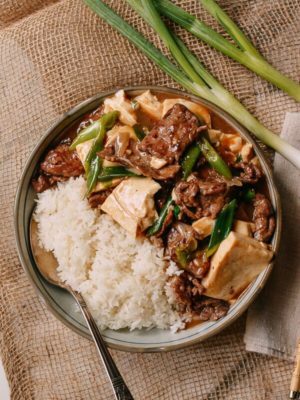 In a small bowl, mix the hot water and sugar, the soy sauces, sesame oil, sugar, 2 teaspoons Shaoxing wine and white pepper, and set aside. Place your wok over high heat, and add 2 tablespoons of oil to coat the wok. 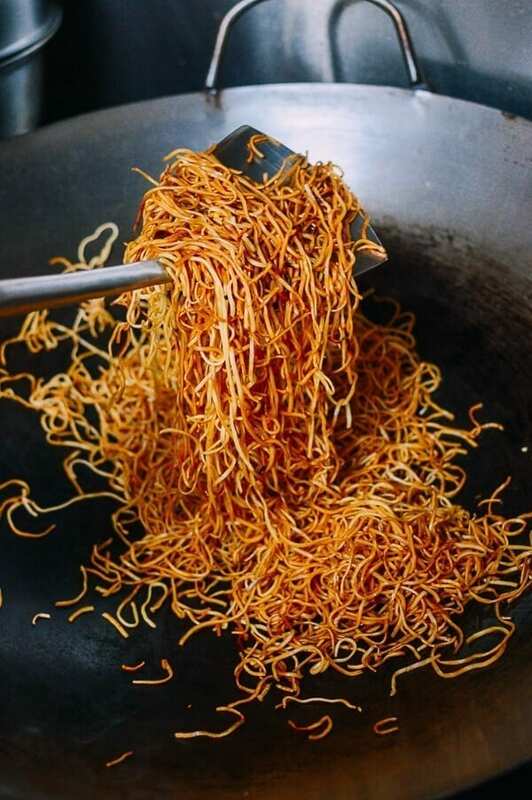 Spread the Hong Kong noodles in a thin, even layer, and let the noodles cook for 1-2 minutes. Adjust the heat lower if the noodles start to scorch or higher if the noodles are not turning golden brown. Flip the noodles over, and add another tablespoon of oil around the perimeter of the wok. Let the other side of the noodles crisp up. During this stage, the goal is to crisp and lightly brown the noodles as evenly as possible. After 90 seconds, flip the noodles again. 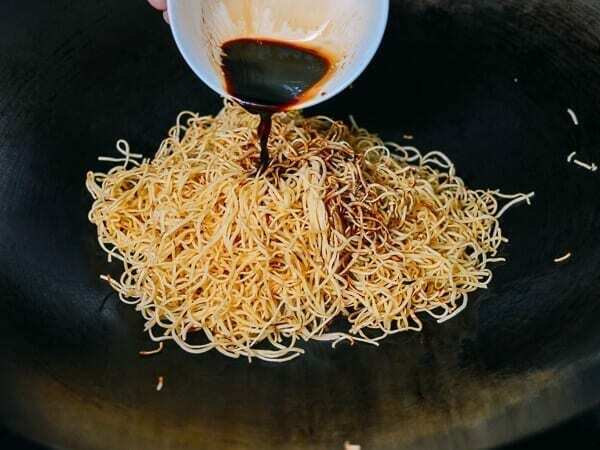 Once they’re golden brown and crispy to your liking, gather the noodles to the middle of the wok and pour in the soy sauce mixture. 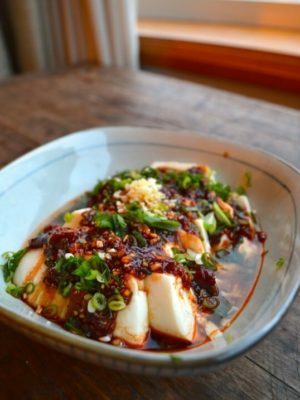 Next, use an upward scooping motion to mix the noodles until the noodles are coated, almost glazed in the soy sauce mixture – about 30 seconds. Transfer your noodles to a plate and set aside. 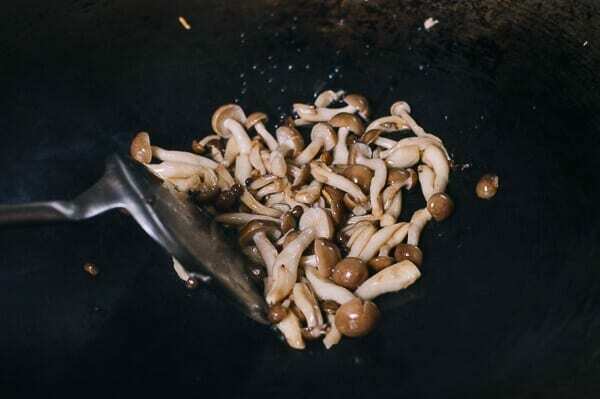 Heat your wok once again over high heat, and add a ½ tablespoon of oil to coat the wok. 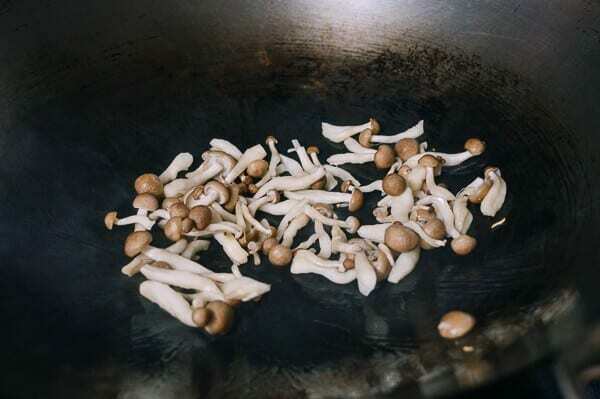 Stir-fry the mushrooms for about a minute and transfer to a plate. Heat the wok over high heat, and add a final tablespoon of oil to coat the wok. Add the garlic. 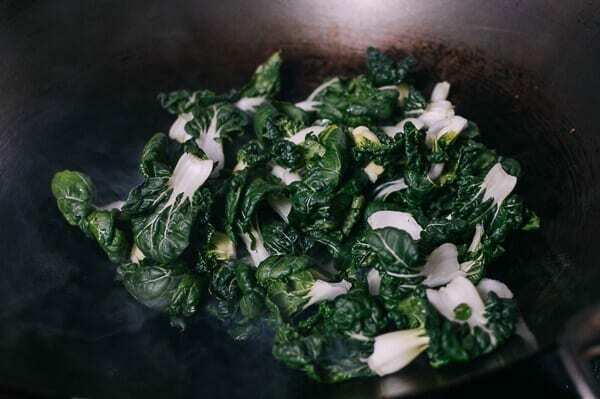 After 5 seconds, add the bok choy, the remaining 2 teaspoons of Shaoxing wine, and stir-fry for 1 minute. 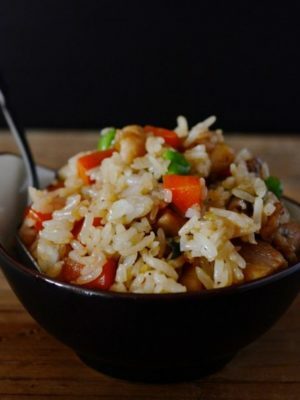 Add ¼ teaspoon salt, the MSG if using, vegetarian oyster sauce, and continue to stir-fry for another 15 to 30 seconds. At this point. you can add the optional hot vegetable stock if you like a moist vegetable chow mein. Some folks like to eat this dish with dry and crispy noodles, others like a softer, chewier noodle, so the decision is yours. 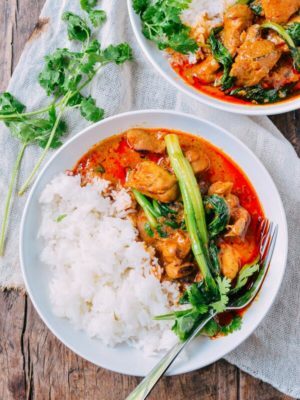 If you use the extra stock or if there is visible liquid cooking out of the vegetables, add in the water and cornstarch mixture to thicken the liquid into a thin sauce. Continue to stir fry on high heat for another 30 seconds. Your wok should be really hot at this point. 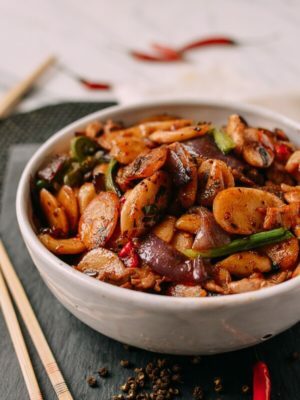 Add the mushrooms and noodles back into the wok and toss everything together using a lifting motion (this aerates the dish, rather than gunking up the noodles) until the noodles, bok choy and mushrooms are well incorporated – about 30 seconds. Toss in the scallions and the mung bean sprouts, and stir fry for another 30-60 seconds, or until the mung bean sprouts are just cooked but still crunchy. Plate and serve your vegetable chow mein noodles with your favorite hot chili oil! 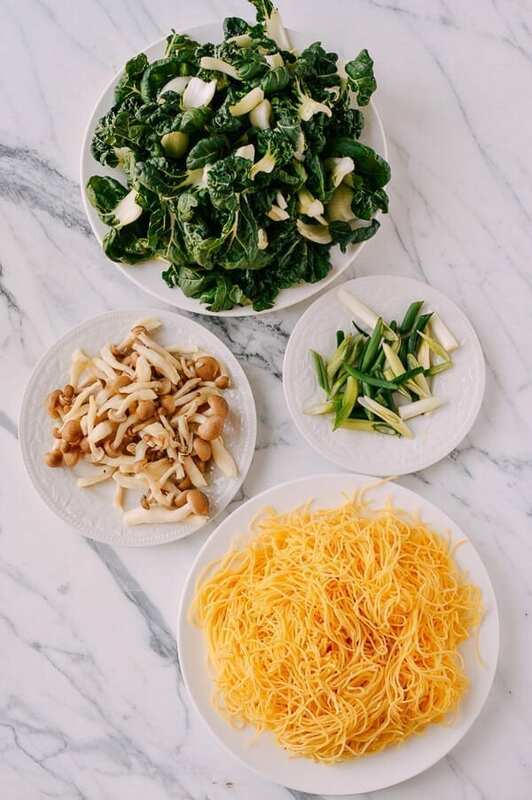 Hong Kong-style Cantonese vegetable chow mein is a vegetarian stand-in for your typical chow mein dishes, made with light, crispy pan-fried noodles, bok choy, mushrooms, and bean sprouts. If you have questions about any of the ingredients used here, click for details and explanations! 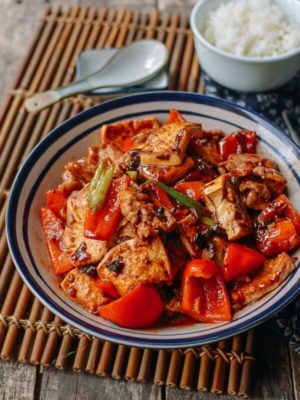 In a small bowl, mix the hot water and sugar, the soy sauces, sesame oil, 2 teaspoons Shaoxing wine and white pepper, and set aside. Next use a upward scooping motion to mix the noodles until the noodles are coated, almost glazed in the soy sauce mixture – about 30 seconds.Transfer your noodles to a plate and set aside. Add ¼ teaspoon salt, the MSG if using, and the oyster sauce, and continue to stir-fry for another 15 to 30 seconds. At this point. you can add the optional hot vegetable stock if you like a moist vegetable chow mein or skip to the next step if you like it crispy. 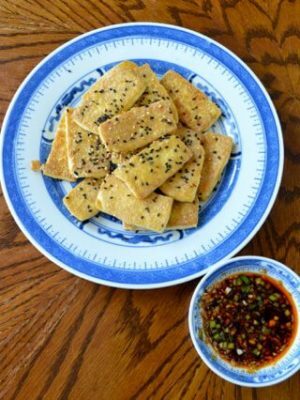 Some folks like to eat this dish with dry and crispy noodles. Others like a softer, chewier noodle, so the decision is yours. 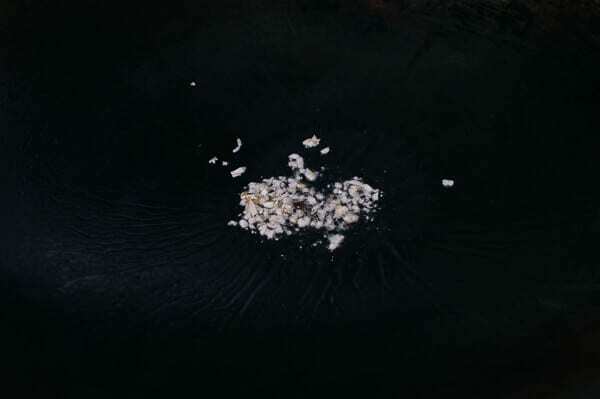 If you use the extra stock or if the there is visible liquid cooking out of the vegetables, add in the water and cornstarch mixture to thicken the liquid into a thin sauce. Continue to stir fry on high heat for another 30 seconds. 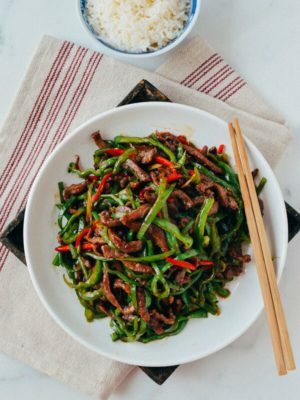 Toss in the scallions and the mung bean sprouts, and stir fry for another 30-60 seconds, or until the mung bean sprouts are just cooked but still crunchy. 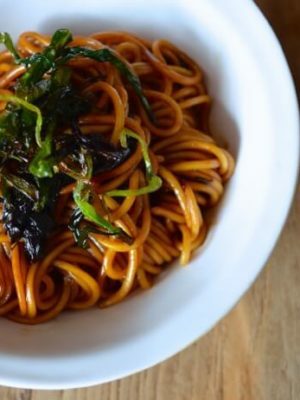 Plate and serve your vegetable chow mein noodles with your favorite hot chili oil! I have to stay gluten free. When I look at the bottles of the liquid items you use in your recipes, sometimes they do not say that wheat (which contains gluten) is an ingredient. Or, it’s written in Chinese, and I cannot read any Asian language! It would help us if you would tell if the ingredients have wheat listed as an ingredient in your very helpful list of ingredients. Hi Emily, Most soy sauce and bean paste products do contain wheat gluten, so it’s best to use explicitly gluten-free brands. More options are beginning to appear in the market, so companies are definitely taking note of the demand. I will do my best to update our ingredients pages to comment about the gluten contents where it makes sense. Coconut aminos make a GREAT soy replacement, gluten free. 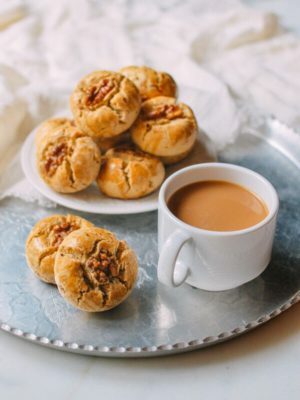 I do eat gluten but wanted to try some because it is listed in a lot of vegetarian and vegan recipes. it is DELICIOUS.I think it would make a great replacement for fish sauce for vegetarians as well. 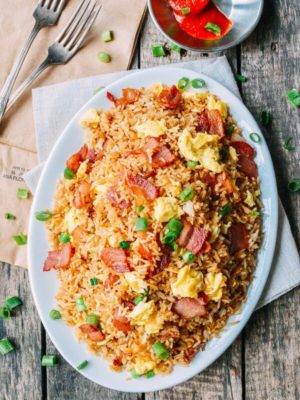 Hi Christine, I’m not sure when it happened, but this type of pan-fried Hong Kong chow mein began appearing at restaurants. 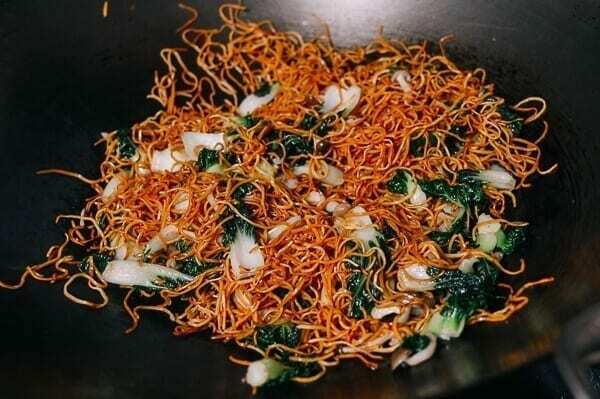 When I was young, we only had the chow mein noodles with lots of sauce poured over a bed of separately pan-fried noodles that you would mix together before eating. 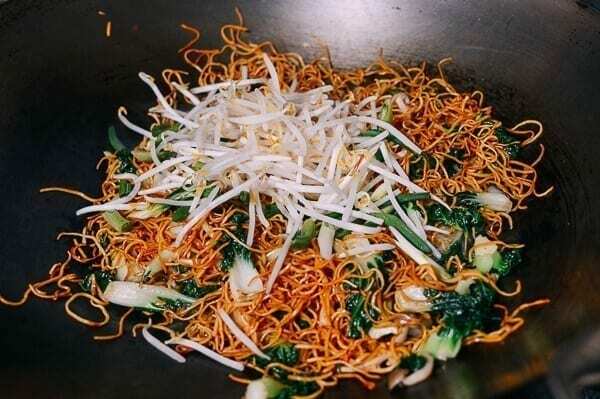 This style of pan frying the noodles, cooked so they break apart, and then mixed with sprouts, scallions and often Chinese chives, has become quite popular, because it is delicious! Maaate, awesome recipe. Subtle flavours, great texture. First time I’ve ever cooked the crispy noodle type dish and it worked a treat. You mob (and I mean the whole family ) are the duck’s nuts in food blogging. Thanks Les and glad you enjoyed it! Do you mean 16oz noodles? The store packages are 16oz not 8oz. Hi Su, yes, they do some in 16 ounce packs but the recipe only calls for half a pack at 8 ounces. Happy cooking! When do you add liquids in Step 3? Hi dsm, I realized that there were a few errors in the post when it first came out, so I modified and updated the post more carefully. The soy sauce, sugar and water mixture is poured onto the pan fried noodles. Water and the optional vegetable stock is added when cooking the vegetables just before you add the noodles and mushrooms back to the wok. Hope that clears things up!